In early Christianity, Christians were all about radical hospitality. Every Christian house maintained a spare room — called “the strangers’ room” — for anyone in need of shelter. In super-wealthy San Francisco — home of so many famous liberal politicians being shuffled around in limos when they’re home from D.C., by they way — the homeless sleep outside the offices of Uber, Microsoft and Twitter day and night. Almost half of the 7,500 homeless people in San Francisco live near those wealthy enclaves. In a United States that increasingly claims to be “a Christian nation,” what possible justification can there be for the millions upon millions of Americans who have no shelter? 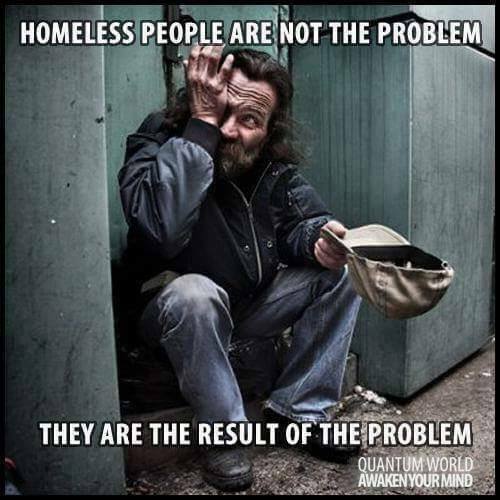 And by the way: what justification can there be for an American Christian bashing and scapegoating the homeless when hurricanes, floods and wildfires — along with the huge problems of income inequality and veterans coping with PTSD from stupid, endless wars — keep the homeless numbers spiraling? The true meaning of Christmas is to see the face of Christ in the poor stranger and welcome him or her into your heart — if not a “strangers’ room” in your own home. The true meaning of Christmas stems from the story of a homeless child born in the muck and mire of a stable, to homeless refugees. *See more about the Pope’s talk here. That man, Carlin. Only golfers with a really good sense of humor could tolerate his truthfulness. Your own thoughts about sum up the war on Christmas. Paul, thanks for speaking out. Do you ever feel like I do? That is that all our verbalized musing turn into an echo chamber. As a major golf fan from childhood, I definitely appreciate the humor in the vid. I’ve been in a lot of those country clubs where the white elitists go to be seen. Happy holidays back atcha! Hey bud, Carlin did a lot of atheist humor but I’m sure you know that! Paul, I cannot remember the city, but someplace tested and found that giving the homeless a place to live is less costly than paying for all the social services.